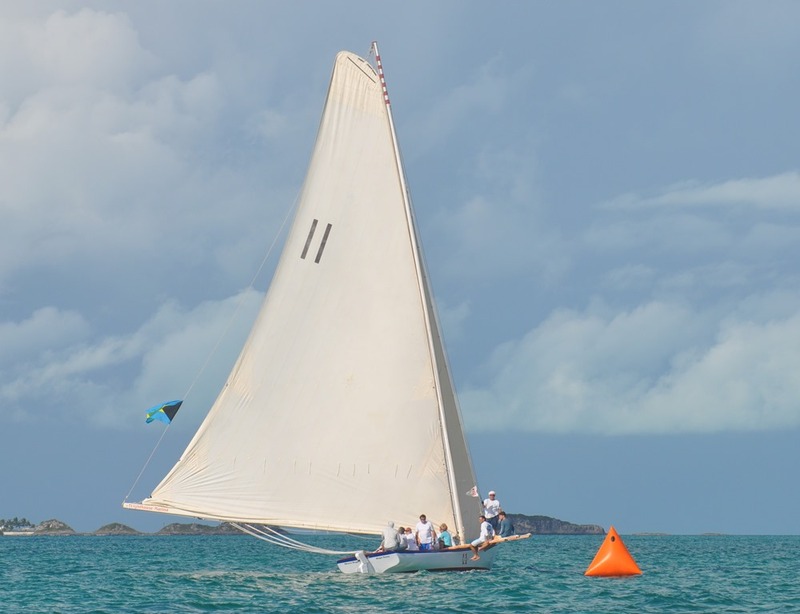 We race on the Abaco Rage, a traditional Class A racing sloop built on the island to our north, Man O’ War Cay. 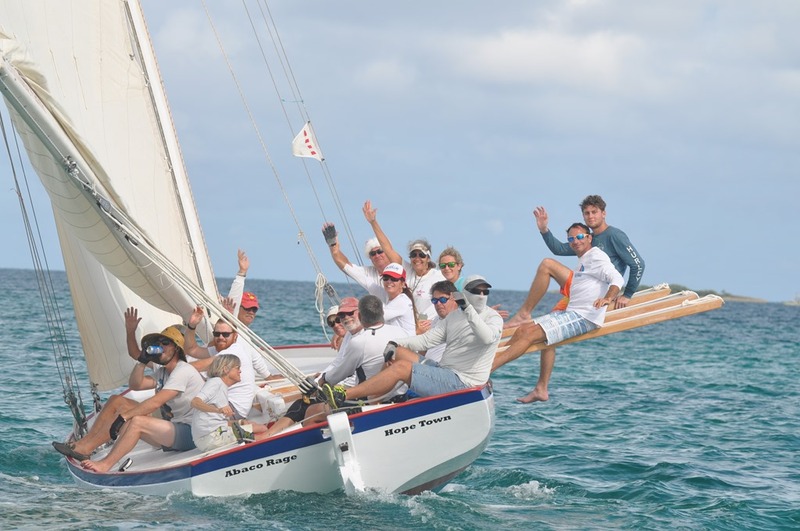 Hope Town Sailing Club sponsors a race for cruising and racing boats every other Wednesday, plus Boxing Day, the day after Christmas. 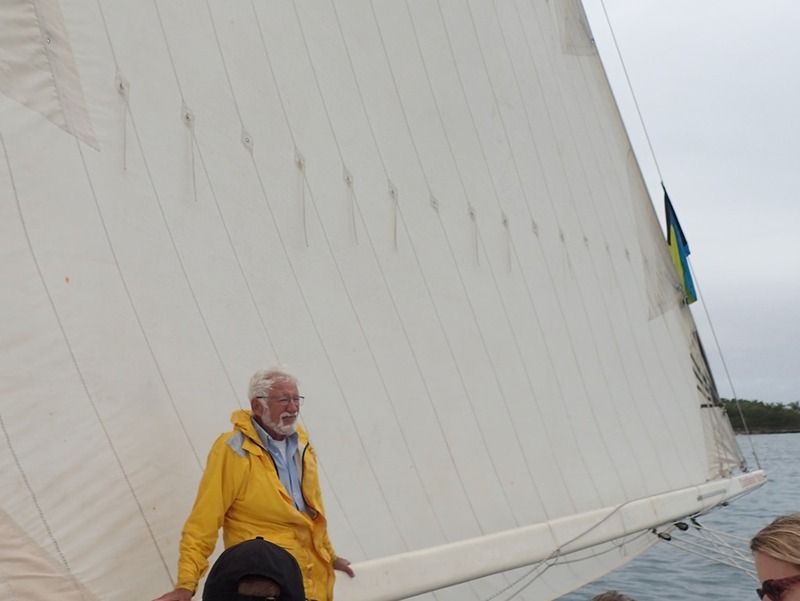 Rage is all wood, with 28’ on deck, with a 34’ boom – a massive mainsail and itty bitty jib. She has no hydraulics, engine, or power anything. 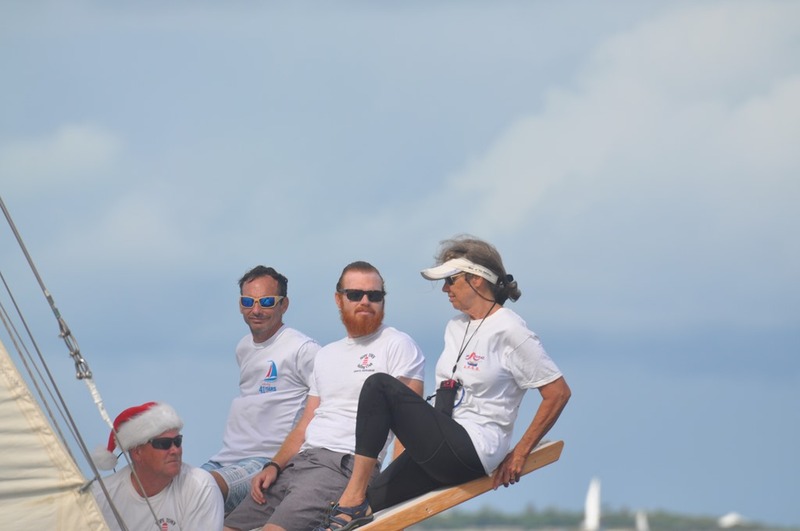 She’s fun to race because the crew balances the boat by sitting on 10’ long hiking boards called pries. It’s the best ride on the water – flying along over the gorgeous turquoise waters of the Sea of Abaco. 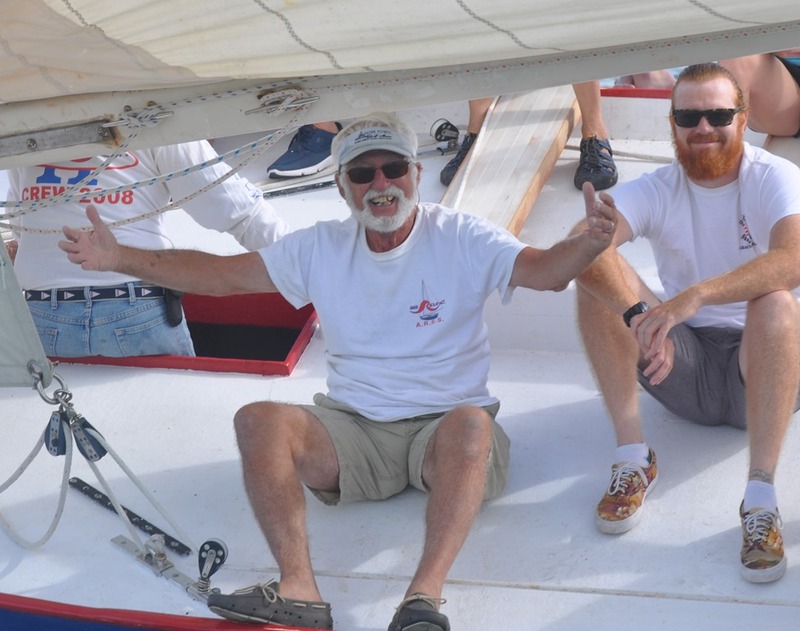 It’s just plain fun – classic boat and great crew. Here we are with our son-in-law during the Boxing Day race. 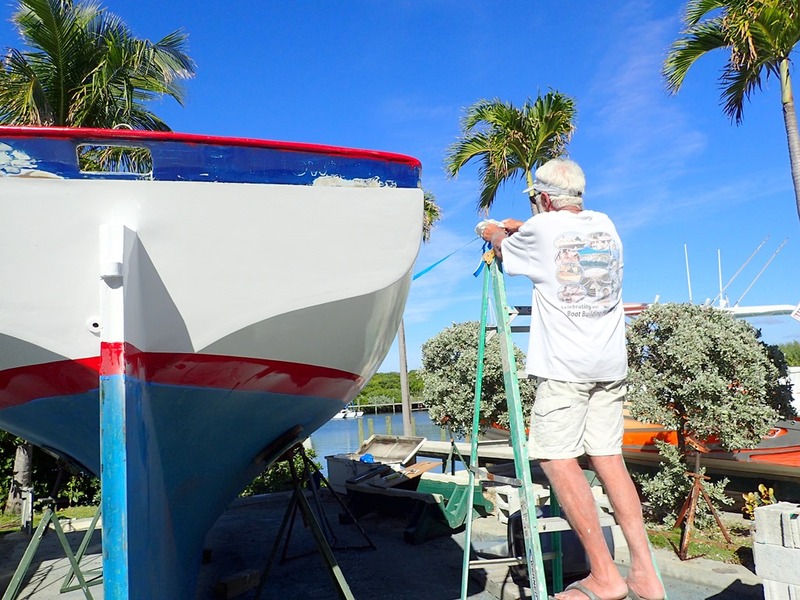 To earn our spots as crew, Goldwin and I helped paint Rage before she was launched in late December. We painted her white freeboard. Others painted her bottom and blue and red trim. A group effort. Beautiful now. The last race, this past Wednesday, was tough. Not enough wind, but lots of mist, rain and spray from left over waves. We were soaked – and chilled – by the time we finished. But we sailed a good race and loved it anyway. Next race, we’re hoping for sunshine.